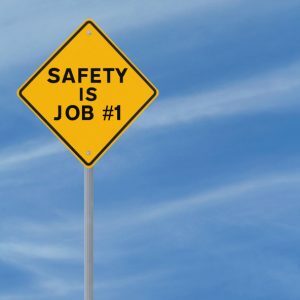 When it comes to electrical safety on the job and around the workplace, some reminders are good to remember. Along with fire safety, electrical safety is one of the most prominent safety concerns for workers. When it comes to electrical safety on the job and around the workplace, some reminders are good to remember. These reminders are primarily pointers and tips for how to avoid electrical hazards and how to minimize the incidence of injuries related to these hazards. In this blog, we will cover some basics of electrical safety. Always assume overheard wires are energized: Although assumptions are usually a faulty way of thinking, play it safe when it comes to electrical safety, automatically assume any wires you encounter, especially overhead ones, to already be energized at dangerous levels. Even if a wire is down or appears to be properly insulated, don’t take it for granted that it is safe to touch. Don’t touch a fallen power line: Furthermore, you should never touch a fallen power line. Report any fallen lines with your electrical company; they will send technicians to deal with it. Never operate any electrical equipment in or around water: As water is an excellent conductor of electricity, you should never operate any electrical equipment in or around a body of water. Exercise caution when working near electricity: You should always exercise plenty of caution and constant vigilance when working near open electricity. Electrocution: Electrocution can be fatal! Electric shock: Electrical safety is meant to be protect against shock and electrocution, as well as against burns and falls. Burns: Arc flashes can cause burns on the body and cause damage to the eyes as well. Falls: Muscle contractions from electric shocks can cause you to fall off a ladder, scaffold, or aerial bucket. The fall itself can cause significant injury. Ensure that any electrical equipment is not in the vicinity of hazards. Ensure that safety devices are in good working condition. Make inspections on the power cord. Make sure it is properly insulated. Find the emergency shutoff. Be sure one is present and that it is working. Allow sufficient room for operation. Be sure no other obstacles or other possible hazards can interfere with safe operation of electrical equipment. Keep watch on other workers and have them keep watch on you too. Remove metal jewelry. Metal is another superb conductor of electricity. This entry was posted on Wednesday, April 19th, 2017	at 1:31 pm	. Both comments and pings are currently closed.